The European regulations governing social security for migrant workers [EEC Regulations Nos. 883/2004 and 987/2009] and the bilateral social security agreements reached between Germany and other countries make provision for liaison offices and departments which assure the medical care of persons insured in partner countries during their stay within the host country. Within the scope of the German accident insurance system, both of these functions and the associated tasks have been transferred to the foreign liaison office of the German accident insurance institutions (DVUA). The DVUA has the task within this scope of ensuring that EU regulations governing migrant workers and the bilateral agreements concerning social security are observed at administrative level, and that the medical care of the persons referred to in these regulations is assured. 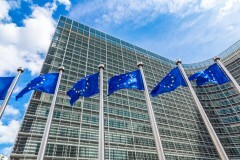 In order for the statutory provisions of EU subordinate legislation and the bilateral agreements to be implemented at administrative level, the liaison office enters into administrative agreements with the partner liaison offices of other countries. In addition, it has the function of providing all necessary information and advice to insured individuals, companies, statutory accident insurance institutions and other parties concerned. In the context of the medical care in the host country of persons insured abroad, certain formal conditions must be observed. More detailed information on these conditions will in future be available under "Liaison office".